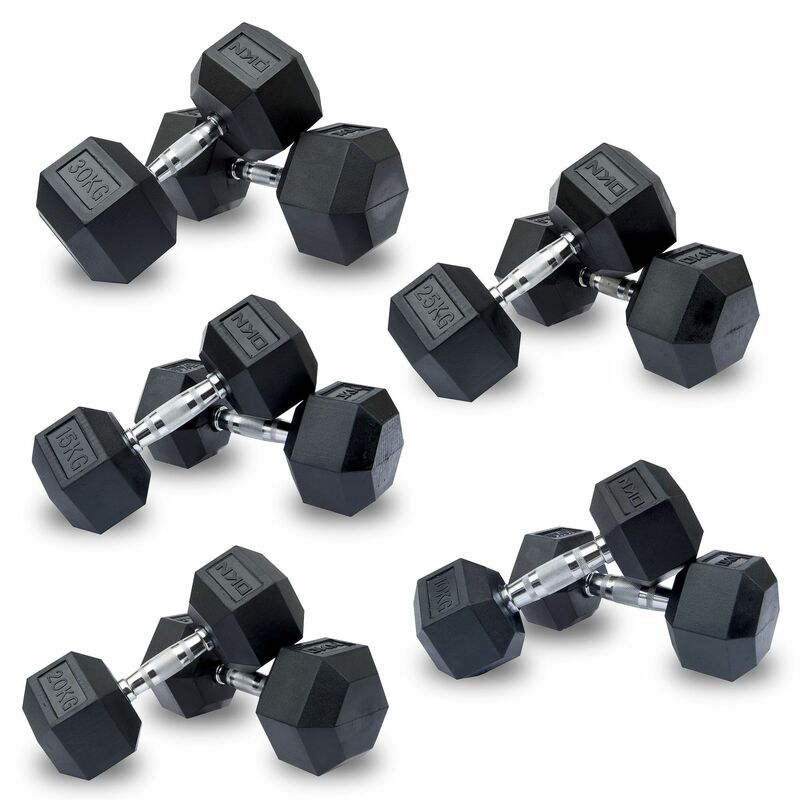 This set of 5 pairs of DKN Rubber Hex dumbbells, weighing 10kg, 15kg, 20kg, 25kg and 30kg, is ideal for increasing your strength, for use in a domestic or light commercial environment. The dumbbells are solid and durable, and have an anti-roll hexagonal design. 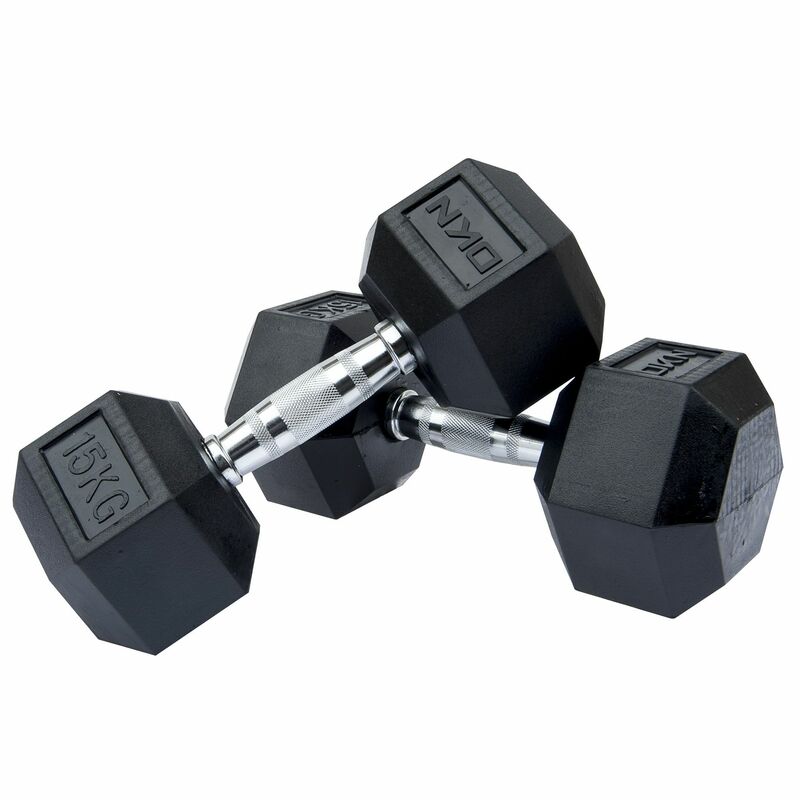 The solid steel handles have been ergonomically designed and are knurled to improve grip. 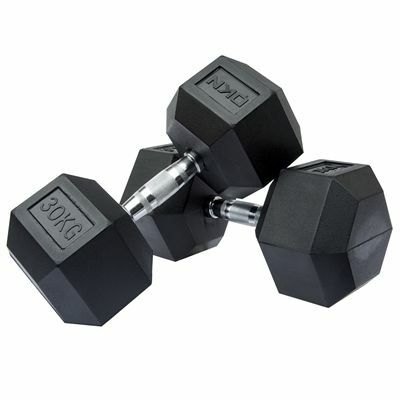 The iron heads have been coated in high-grade rubber to protect them and reduce floor damage and noise. 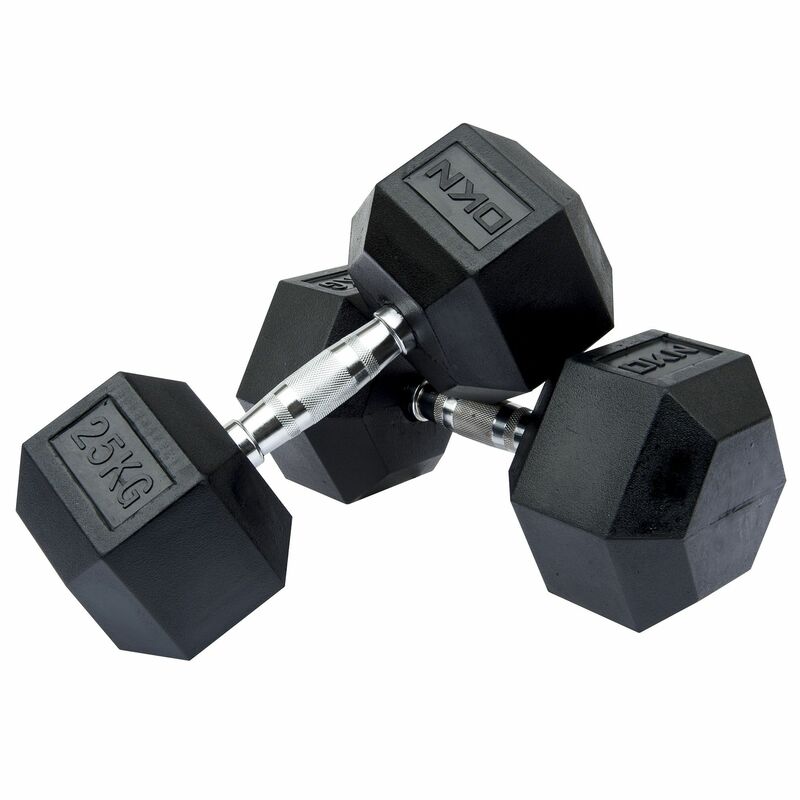 for submitting product information about DKN 10kg to 30kg Rubber Hex Dumbbell Set - 5 Pairs We aim to answer all questions within 2-3 days. 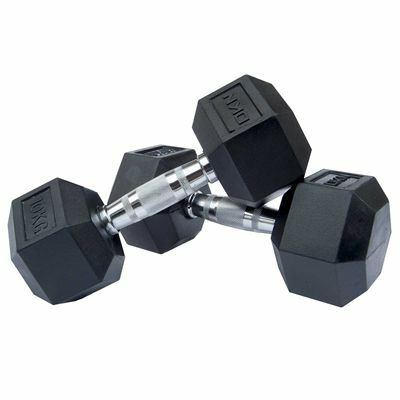 for submitting product information about DKN 10kg to 30kg Rubber Hex Dumbbell Set - 5 Pairs. We aim to answer all questions within 2-3 days. If you provided your name and email address, we will email you as soon as the answer is published. Does this get delivered on a pallet? 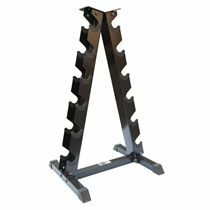 This product is delivered on a pallet service which involves placing goods on a pallet; securing them and transporting them to their destination. Please note that pallet deliveries are left curbside. 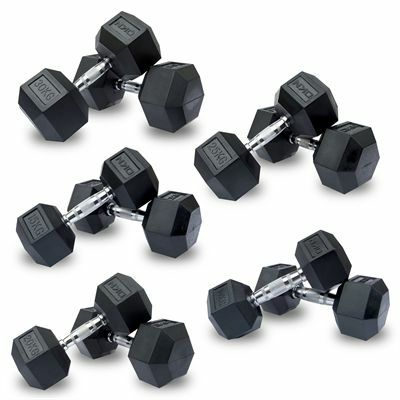 for submitting product review about DKN 10kg to 30kg Rubber Hex Dumbbell Set - 5 Pairs.